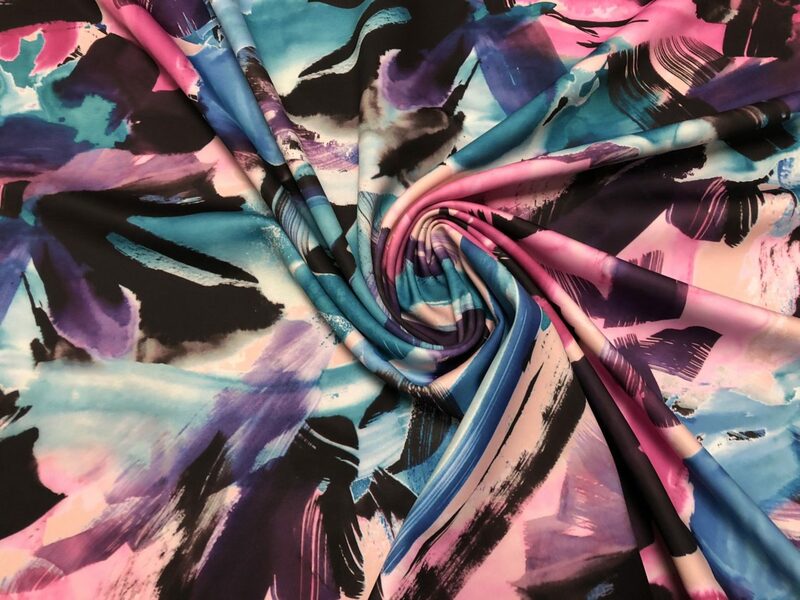 Scuba Knit, a vivid print of Purples, Hot Pink, Green, Turquoise, Fuchsia and Black that looks like an abstract painting. Made of a 90% Polyester/10% Lycra blend. Heavy weight, it doesn’t have the neoprene padding so it drapes wonderfully (around 8 ounces), soft hand, 60″ wide.